We are a diversified family farm located in the rolling hills of south central Kentucky. Our focus is on subsistence, education and value-added products. We believe in working with natural systems and designing our farm based on ecological principles. 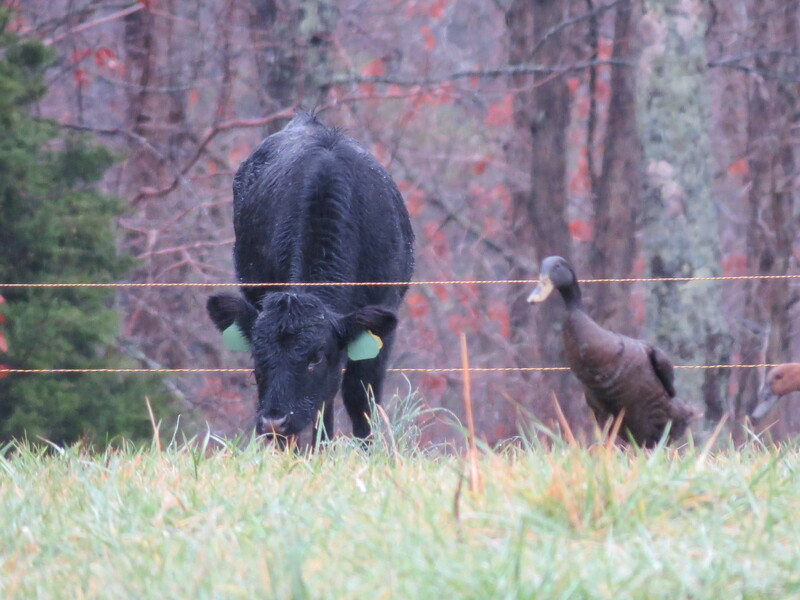 We have integrated dual-purpose cattle, egg-laying ducks and honeybees into our farmscape to improve the ecosystem and provide us with fresh, nutritious food. Our gardens, orchards, and forests provide us with seasonal fruit, vegetables, and mushrooms. Our large native grass field, riparian buffer, and forests are home to a wide variety of wildlife and edible and medicinal plants.